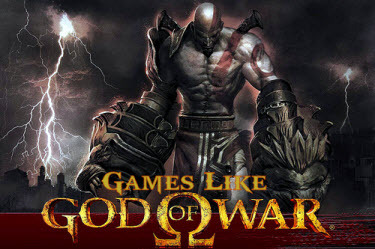 Games Like God of War '+g+"
God of War is a series of action-adventure video game series loosely based on Greek mythology. It chronicles the exploits of the anti-hero Kratos and his quest for revenge on the Greek Gods for the death of his his wife and daughter. If you are a fan of action-adventure games like God of War and looking for more games with similar gameplay then find the recommendations for it below and don't forget to mention if we miss any games as we keep on updating this list. Darksiders is an action-adventure hack and slash video game developed by Vigil Games and published by THQ. The game takes its inspiration from the apocalypse, with the player taking the role of War, one of the Four Horsemen of the Apocalypse who is tasked to find out the cause of a premature Apocalypse while battling both Angels and Demons on a dead Earth. Dante's Inferno is a 2010 action-adventure video game developed by Visceral Games and published by Electronic Arts. The player controls Dante, engages in fast-paced combat, platforming and environment-based puzzles must travel through the nine circles of hell inorder to save his love Beatrice. Heavenly Sword is a video game developed by Ninja Theory exclusively for the PlayStation 3 console. The main character, Nariko, uses a weapon called the "Heavenly Sword" which changes into one of three forms depending on what attack stance the player uses in order to defeat the evil King Bohan. Bayonetta is a third-person 3D action video game. The game centers on its title character, Bayonetta, who uses her four pistols and magical attacks to battle against countless angelic enemies and other foes. Kingdom Hearts,......if you can think of more, then don't forget to mention it in comments.